Today I was FINALLY successful in creating a Roland W-30 CD-Rom disk for the first time that (A) can be accessed with SMFW30 for file export into W-30, S-330, S-50, or S-550 sampler formats. I can also (B) burn the CD and use it in a Roland W-30 compatible CD-Rom device connected to a Roland W-30 outfitted with the KW30 SCSI Kit. This allows me to archive all my Roland W-30 floppy files into CD-Roms and ISO files for storage and access. Anyone with SMFW30 can also in turn access the ISO or CD-Roms and export a floppy image into any early S-Series Sampler format. Below is a basic procedure for how I accomplished creating CD-Roms and ISO images of Roland W-30 floppy image collections. 1. I use a Roland W-30 attached to either a Hard Disk, Zip Drive, or MO Disk. All three will work. 2. Save your sample disks one at a time to the disk storage device until full or finished. Yes you have to load each floppy image one at a time and save it to the external storage device. 3. Use Extreme Sample Converter to create a virtual .img disk from the storage device. You may be able to use another software application for this, but I found ESC to be the easiest for me. – start the w30.exe program. – press the LoadHDImg button and select the W30 zip/Mo/HD file you created in Extreme Sample Converter. You need to make sure the extension is .img for it to find and load the file. – After loading, create groups and drag your sounds disks into them as you like. – When you are happy with the results, press the SaveCDImg button which creates the .ISO file. – Exit the w30.exe program. 5. Now using SMFW30, open the CD Editor and load the ISO image file you created. You will notice that the program shuts down automatically. The reason is that the program by Gabor Pikacs does not create the correct required header when saving it to a CD Image file. Thus you have to do a few more steps to basically hack and correct the issue. 6. Open the ISO file you saved in a Hex program such as 010 Editor which is what I use. Now you need to get the correct header from a correct Roland S-550 ISO file. 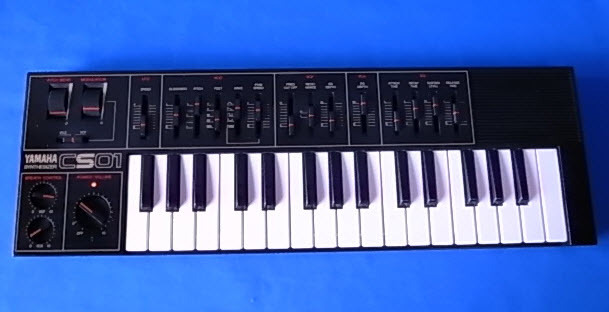 (A Roland W-30 header does not exist that I’m aware of but a Roland S-550 one will work). I use the header from the Roland S-550 Universe of Sounds ISOs that I have. I open up Universe of Sounds for the Roland S-550 in the hex editor and copy the first 32 lines of the file verbatim. I then past that over the top of the newly generated W30 ISO file and then save it. 7. Now when I go into SMFW30 again and open the ISO file using the CD Editor, the ISO file opens up perfectly. I can then locate the floppy image files under each group heading and export them into individual files in either S-50, S-550, S-330, or S-550 formats. I have thus successfully created a complete Roland W-30 CD-Rom Disk with all my floppy images neatly organized and accessible. 8. You can also now burn the image and then load it up in a compatible Roland W-30 Cd-Rom device and load sounds back into the W-30 if so desired. Or you can just leave it as an ISO for easy storage and archive. It is now possible to create CD-Roms and ISO images of a collection of Roland W-30 floppy disks with SMFW30. I came back from the store with a mint condition Yamaha CS01 Synthesizer that I found for $50 bucks including the original soft case and breath controller kit. I am not sure, but I believe this is a rare black version of the CS01 original I version. A later version II came out that was also black but had green trim instead of yellow here. 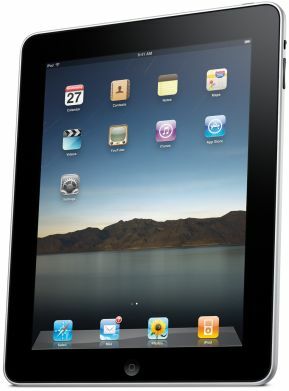 The one I bought is exactly the same one as pictured in the attached photo I found on the web. This Yamaha CS01 is in absolute mint condition with everything working perfectly. It’s a really nice sounding synth and I spent quite a bit of time toying with it in the used music shop before I bought it. The unit takes batteries or uses an adapter that came with it. There are strap knobs at either end of the synth so you can use it like a keytar. See the attached Youtube video below of a gentleman playing the Yamaha CS01 on stage. I had absolutely no info or idea about this synth when I saw it in the store so I wasn’t sure if it actually was a toy or not, but the way it sounded and handled, I figured I could make good use of it regardless. It doesn’t have midi, CV, or any sort of inputs to control the synth via sequencer, BUT, with today’s looping and recording technology it doesn’t really matter. It’s an extremely versatile synth and because the size is so small, you can easily rest it on top of a workstation or other synth for easy access. I can think of a dozen uses for this little gem, so I’m glad I found it. The guy who apparently brought it into the store also had a Behringer VM1 Vintage Time Machine which I thought was cool too. The sales clerk threw it in for an extra $10 bucks, so I thought why not. Supposedly it’s all analog, but I’m not sure. I’m curious how it will sound with the Yamaha CS01 and other stuff I have. I actually quite like the Behringer Analog pedals they sell and have a few others which work great. To throw a cherry on top of all of that, it was not just a few days ago that I also found a second Roland S-330 Sampler for $10 bucks as well from the same place. I love those S Series Samplers from Roland. The place I go to here in Nagano-city is quite a nice little watering hole! 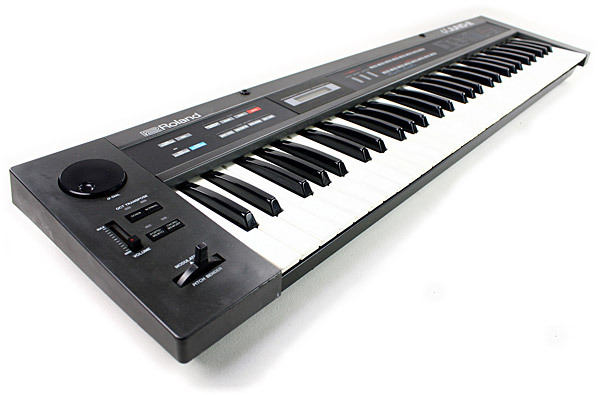 A couple of days ago I bought a used Roland Juno Alpha 2 off Ebay for a really great price. It had numerous problems, but I felt I could fix it and I’m happy to report that the Roland Juno 2 is in perfect working order now. Below are some notes about what was wrong with the Roland Juno 2 and the steps I took to correct the issues. At a glance, some of the issues were a broken joystick and bender/pitch wheel, a check battery message, a couple of dead keys, and an extremely dirty synth inside and out. I also was not sure if the output jacks, chorus, and membrane buttons were all working yet. This was a gamble purchase, but I felt the problems would hopefully be fixable. First the Roland Juno 2 was in absolute filthy condition. I think this synth had the most dirt, grime, dust, and just about everything you can think of tucked away inside. It had never been opened and when I lifted the lid off the top of the synth I couldn’t believe it was still in operation. It took me about two hours to clean all the stuff out of it and check all the wiring to make sure everything was stable and connected properly. Once the Juno 2 was cleaned, I proceeded to change the battery. Changing the battery proved to be much easier than expected with the exception that you have to lift out the key bed before you can slide out the CPU board with the battery connected to it. Be careful when doing this because the cpu is connected to a couple of slots under the key bed and you don’t want to yank it out and rip off an electronic component on the CPU board. Just be gentle and it will gradually slide out. The battery was soldered to the main board as expected, but unlike other synths I was actually able to solder a battery holder directly to the main board due to excellent pin hole spacing. I usually use wire leads but in this case my spare battery holders were an easy fit. I then popped a fresh battery in and later reset the Juno 2 in order to remove the “Check Battery” message. Note you MUST reset the Roland Juno 2 after a battery replacement in order to clear out the error message “Check Battery”. This was a big problem I found a lot of people had around the web. Another important note is that I’ve seen quite a few Juno 2’s with leaky batteries. Be careful not to buy one with battery crap all over the CPU as that will likely give you a giant headache trying to repair the CPU board if that’s at all possible. I had a teeny tiny bit of leakage with my old battery and I felt extremely lucky I caught it in time. With the battery tucked under the Key bed, it will be IMPOSSIBLE to see by just opening the top cover. You may be able to poke a flash light on the side, but that’ll be tough. Be careful about leaky batteries!! With the battery in operation, I then reloaded the factory “memory” presets into the Roland Juno 2 using my Mac iBook and Sysex Librarian. I found the Juno 2 factory sounds in sysex format in the Juno Yahoo Groups. They are easy to find there and everything loaded up just fine. Be sure to follow the instructions in the Juno Factory Kit because you must press the WRITE key at the same time as the DATA TRANSFER and BULK LOAD keys in order to transfer the factory patches from the computer to the Juno 2. Fixing the Roland Juno 2 dead keys was pretty easy. You have to remove the key bed which is far easier than most keyboards. Then you have to turn it over and lift up the plastic strip locking the key in place. From there you can lift out the dead key pretty quickly. Under the silicon rubber piece you need to gently clean the carbon contacts with alcohol cleaner. I usually rub generously with a Q-tip until I see a light black color on the Q-tip. I stopped using the rubber eraser trick because it has failed every time with me. I have had almost 100% success with using a pure alcohol cleaner and rubbing gently with a Q-tip. Later when the keys were tested, all of the dead ones were brought back to life. The keys were fixed!! Finally, I had to tackle the big problem of the broken joystick/pitch bend wheel. There were three things I had to do in order to fix this problem and it’s very important that you check each one. 1. Probably the most important, you need to twist the middle metal shaft with a screw driver so that the center line is “vertical” and not horizontal. In every case when the center shaft line set to horizontal, I got absolutely no pitch bend effect. Once I twisted it vertically, I got my pitch effect and modulation settings back. 2. You MUST make sure that the tiny allen screw at the bottom of the plastic pitch bend wheel is securely tightened. This is critical and leads to most problems found on a broken joystick. The allen screw is what secures the joystick to the center metal shaft. If this comes loose, the spring will become unstable and thus you’ll get an unstable joystick which likely will either not work or give you crazy results. I often read reports about goofy joysticks in the Roland Juno 2 and likely that’s because the allen screw is loose at the bottom. This a precision joystick and you MUST have everything tightly secured and in it’s proper place. 3. There are at least six contact points on the pitch bend wheel. You should clean those with contact cleaner to ensure proper flow of signals reach to and from the Roland Juno 2 CPU board. I dismantled the entire pitch bend wheel and cleaned everything which I’m sure helped in bringing the pitch bend wheel back to life. One more note about the joystick. With mine, the top vertical stick part had broken off likely by someone who whacked the joystick against something when they weren’t looking. I can say that even with the vertical stick part broken off, the Joystick is 100% usable. Of course you can either replace the joystick plastic part with another spare from another keyboard or you can simply epoxy a stick on top if you like. The semi-circle portion of the joystick sticks out plenty to toggle the joystick with your finger or thumb. It might even be easier for you. The indentation where the stick broke off also offers a good way to grip the joystick and toggle it from side to side as well. Modulation is easy by simply pressing the wheel forward. Unless you plan to resell a completely original Roland Juno 2, I wouldn’t hesitate at all buying a Roland Juno 2 with a broken Joystick. They are SUPER simple to fix and I now know that most problems are a result of one or several of points above not being addressed properly. Also note that the center metal shaft on the joystick is “ROUND” and not “SEMI ROUND” like on some other joysticks. I pulled one from a used Roland XP-10 for example and while it will work fine as a replacement, you will need to cut out a circular hole rather than use it’s SEMI Circle hole. Other than that, most any joystick could probably be put into the Roland JUno 2 with some slight modification. After putting everything back together on the Roland Juno 2 I tested the chorus and membrane buttons and all worked. I now had a totally 100% working Roland Juno 2 Synthesizer. Hurray!! The Roland Juno 2 is a pretty sweet synth. I also have the Roland MKS-50 and both are a joy to use. The Roland Alpha Juno 2 is probably the easiest synth I’ve ever repaired and if I ever found another broken one for cheap I would grab it instantly. A LOT of people have problems with this synth I found while researching the web and while it stumped me a bit with a few things, once I figured out the fix it was downhill from there. Do check out the Roland Juno 2 as it’s a very nice cheap analog synthesizer that sounds simply wonderful. Here is a nice demo of the Roland Alpha 2 on YouTube by RetroSound.